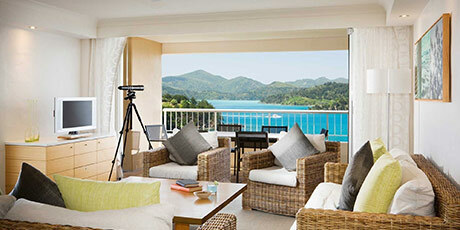 Play a round of golf on Australia's most breathtaking golf course and receive one complimentary night. 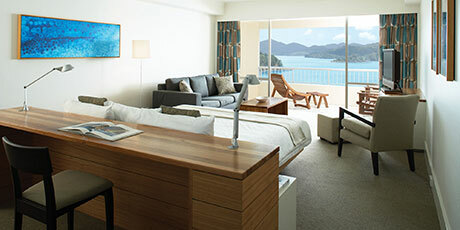 In celebration of the Hamilton Island Golf Club’s 10 year anniversary, take advantage of the perfect Golf Getaway Package. 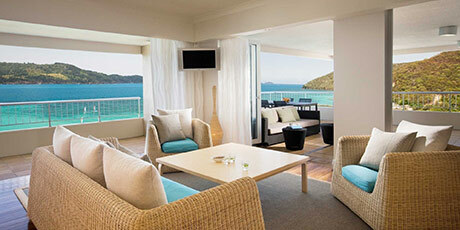 Stay 5 nights for the price of 4 and receive two complimentary rounds of 18 holes per room at Hamilton Island Golf Club. This incredible offer is available at the Reef View Hotel, Palm Bungalows and Beach Club for travel during the months of June, July and August. Hamilton Island Holiday Homes are also offering 10% off when you stay 3 nights or more, plus 20% off 18 holes of golf. Click here to find out more. 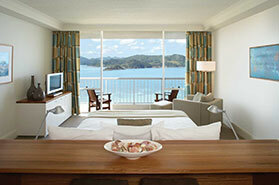 The 18-hole, par 71 Hamilton Island Golf Course is said to be one of the most challenging in the world. Designed by five time British Open winner Peter Thomson, and taking full advantage of Mother Nature’s work, the course is strung along the spectacular ridges and steep valleys of Dent Island. Offer is available until 5pm AEDT Friday 31 May, 2019. Don't miss out! Travel dates: 1 June – 5 July, 14 July – 28 July, 31 July – 17 August, 25 August – 31 August 2019. Dates are inclusive. 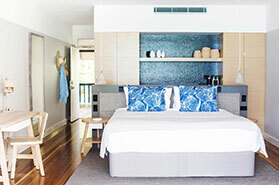 *Sale available direct through Hamilton Island Holidays online or via the Reservations call centre from 9am AEDT 6th February to 5pm AEDT 31st May 2019, unless sold out prior. 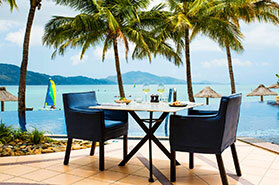 Reef View Hotel, Palm Bungalows and Beach Club bookings receive two complimentary rounds of golf at Hamilton Island Golf Club per room. 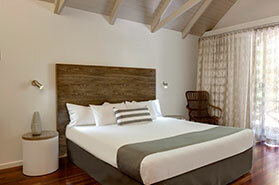 Complimentary rounds must be booked and utilised during the accommodation booking. 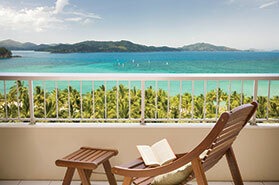 A 20% refundable deposit at time of booking with final payment 7 days prior to arrival. Deposit refundable up to 14 days prior to arrival, loss of deposit if cancelled or amendments received within 14-7 days, 100% cancellation fee if cancelled or amended within 7 days of arrival. Booking changes not permitted. Further conditions apply. ^Kids Stay and Eat Free only available at participating restaurants and hotels. Kids must be 12 and under, dining with parents and eating from the kids menu. Further conditions apply. 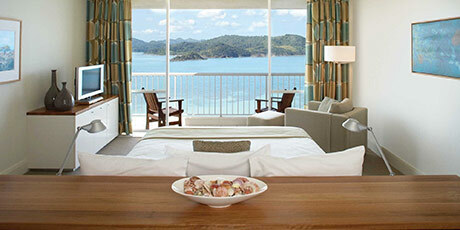 See www.hamiltonisland.com.au/things-to-do/kids-eat-free for more information. 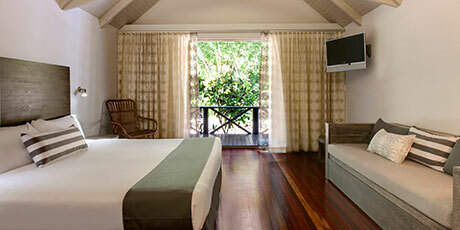 Valid for stays at the Palm Bungalows, Reef View Hotel and Beach Club. Advertised rates are per room, based on two adults sharing (twin share). Travel periods include 1 Jun – 4 Jul, 14 Jul – 27 Jul, 31 Jul – 16 Aug, 25 Aug – 31 Aug 2019. All dates are inclusive. Selected travel dates apply within the travel periods and are subject to rate and room availability. Some dates may have minimum night stay restrictions. 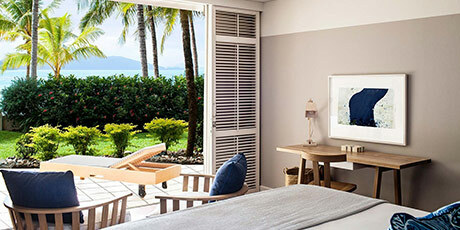 Reef View and Palm Bungalow rates include buffet breakfast daily, return Hamilton Island Airport to hotel transfers, use of island shuttle service, free Wi-Fi and Kids Stay & Eat Free program^. Extra person and extra bedding charges apply (at the Reef View Hotel only). 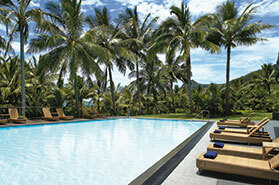 **Valid for stays at Hamilton Island Holiday Homes. 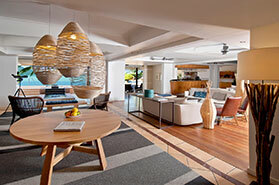 Excludes Lagoon Lodge 001, Frangipani 105 & 108, Barrier Reef House, Alang Alang, Whitsunday Apartments, Yacht Club Villa 25. Travel periods include 1 Jun – 27 Jun, 21 Jul – 15 Aug, 25 Aug – 31 Aug 2019. Holiday Home bookings on this offer have access to a 20% discount on 18 rounds of golf at Hamilton Island Golf Club during your stay, payable direct to Hamilton Island Golf Course. 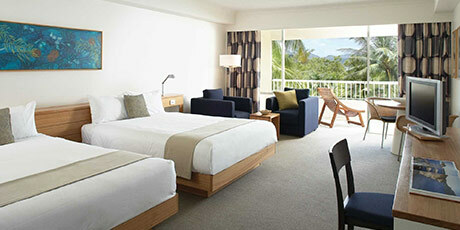 Selected travel dates apply within the travel periods and are subject to rate and room availability. 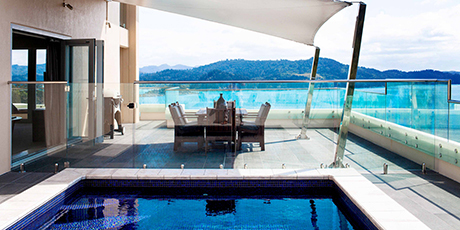 All bookings require a minimum 3 night stay per property, 4 nights for Yacht Club Villas, Alang Alang, Point Blue and Kirribilli and 5 nights for Papillion. Due to availability, some dates may have longer minimum stay requirements. Cannot be used in conjunction with any other offer. Available to new bookings only. Not valid for Conference or Group bookings. 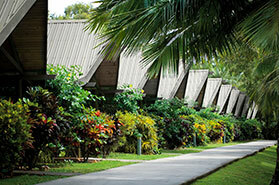 Fees and charges: For Reef View Hotel, Palm Bungalows and Beach Club bookings no credit card fees apply for payments made on VISA or MasterCard. A 3% credit card fee applies for payments made on American Express. 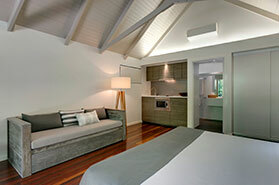 For Holiday Homes bookings a 1.25% VISA/MasterCard and 3% AMEX fee applies.